Hi everyone! And welcome to my first post for #Fahrenbruary. In case you missed it: during the entire month of February, we will be supporting and celebrating the amazing indie publisher that is Fahrenheit Press. Look for the hashtag #Fahrenbruary on Twitter, keep an eye out for posts over on www.itsanindiebookblog.com and www.beardybookblogger.wordpress.com because Matt and Mart have loads of deliciously noirish things coming your way, and obviously, do check out Fahrenheit press. All of their books are available in paperback and ebook at very democratic prices I might add, and directly from them, no need to go through Amazon, unless you want to of course. Moreover, with every book you buy, you gain rewards, the more you buy, the bigger your discount, how cool is that! Without further ado, let’s take a closer look at one of the more recent additions to the Fahrenheit family: Red Hands. I saw this cover on Twitter, and I knew I had to read the book it hid! Feel free to judge this book by its cover, what you see is exactly what you get! 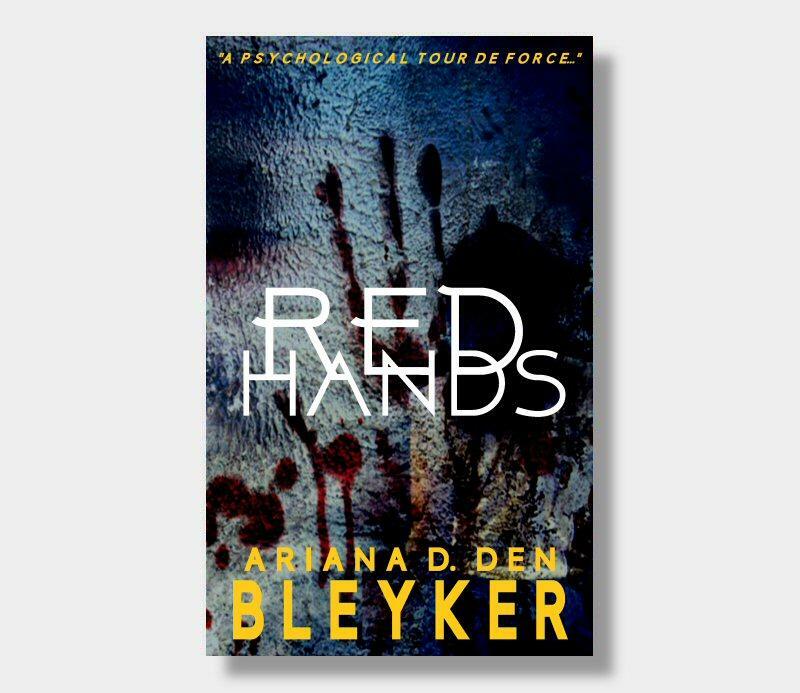 Red Hands is both the story of a man obsessed with the thrill of the kill and a warning that the most dangerous psychopaths live among us, hiding in plain sight. Wow… What a way to introduce myself to Fahrenheit press, what a way to kick off #Fahrenbruary! I am at a loss for words for this one. I truly am. This is such a strange and dark and compelling little book. Don’t mistake this for a quick and easy read because of its size; I read it in one sitting and felt like I had just finished a novel five times its length. The narrative is somewhat confusing, jumping between periods of time and storylines, yet this confusion is perfect for the story since we are in the mind of a very confused human being. What is real, what is not, I asked myself that question nearly every chapter. WHAT is happening, WHEN is this happening, nothing made sense to me and in lacking sense made perfect sense. A nightmarish read, slick with blood, dark as pitch, that sucked me in and spat me out. Recommended, especially if you like your books straight from the pits of hell but with a certain poetic quality nonetheless. Then you should defo try it, at that price and size you’ve got nothing to lose!